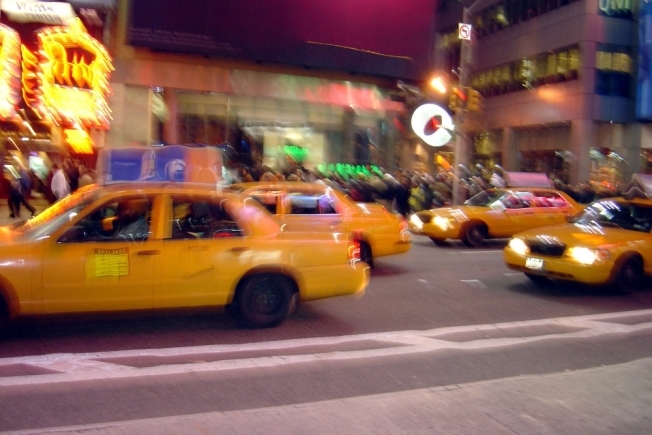 If a cab looks blurry, don't try to drive yourself home. Free cab rides will be available for those who celebrate St. Patrick's Day a bit too much in the Washington area and can't drive home. But make sure you have a backup plan if you can't manage to score a free ride. The Washington Regional Alcohol Program will run the SoberRide program from 4 p.m. Tuesday to 4 a.m. Wednesday. Residents can call 800-200-TAXI for a ride home. The ride is free up to a $50 fare. Anything more than that and the passenger pays the balance. However, in years past there have been complaints from people who have called and couldn't get through when they needed a ride. So either get the luck of the Irish on your side when you place the call or have a Plan B ready for when you're stranded in the street. The service will be offered in the District and in Montgomery and Prince George's counties in Maryland, and in Arlington, Fairfax, Loudoun and Prince William counties in Virginia. The program is sponsored by taxicab companies and popular Irish restaurants. Last year more than 200 people used the service.